It’s the high season for bicycle events. With September the events come thick and fast. Decisions have to be made as to which ones to go for. 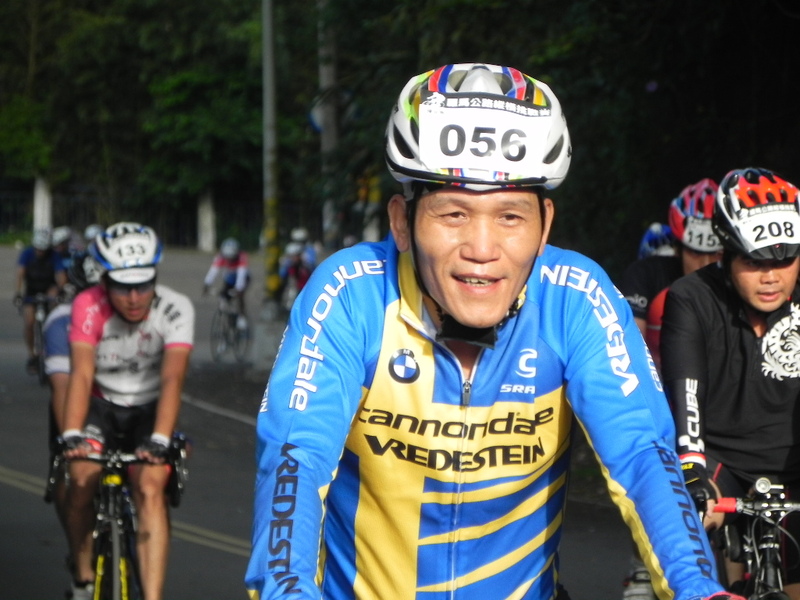 And this year there is a huge feast in the form of the inaugural Taiwan Cycling Festival which will commence in less than two weeks — one more weekend of training to prepare! 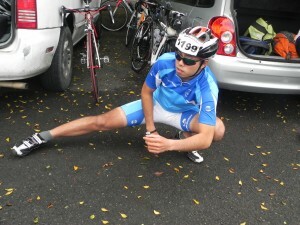 Community cycling events are quite flexible. On one hand they are “competitions”. Completion of the prescribed circuit is usually timed and rankings are publicized. On the other hand, you can just get together with your group or team and just make a fun day of it. Whether you treat it as a competition or a casual event, the choice is yours. 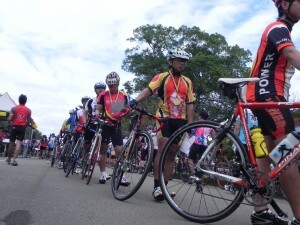 The nature of the event is that after an hour or so small groupings of cyclists of similar ability form along the route. Conversations ensue, new friendships are struck up and celebrated with the occasional sprint finish at the end. 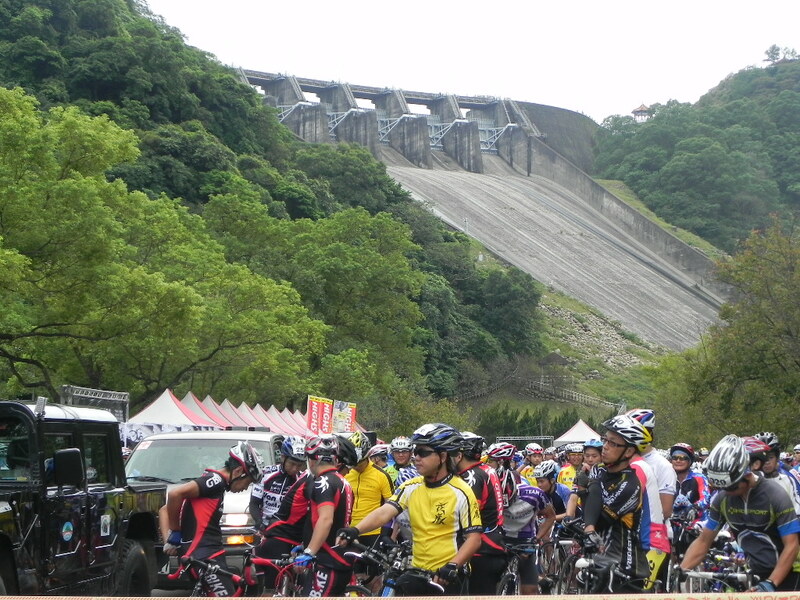 Last Saturday it was the Stone Gate Reservoir Challenge. 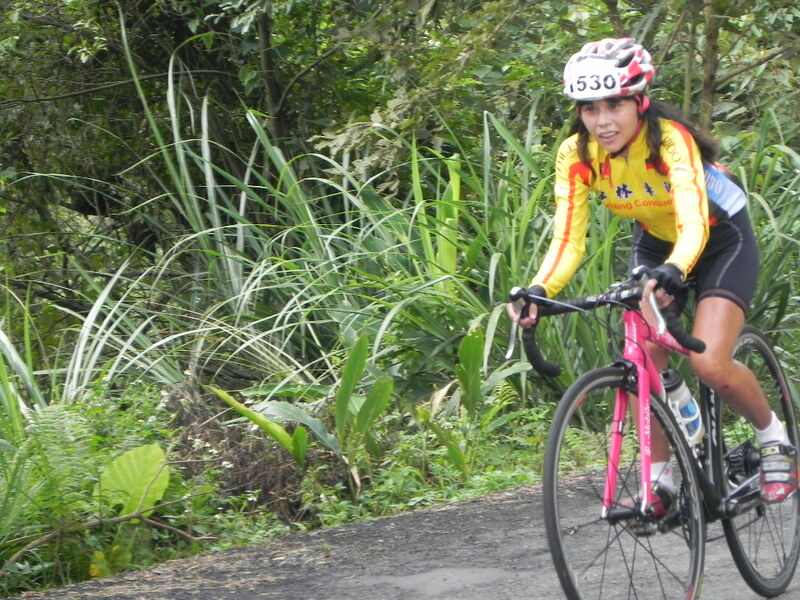 This involves a 78km circuit of the Reservoir through rolling hills and finishing off with a Category 2 ascent just near the finish. My job for the day was to find some good locations and get some good photos of the event. 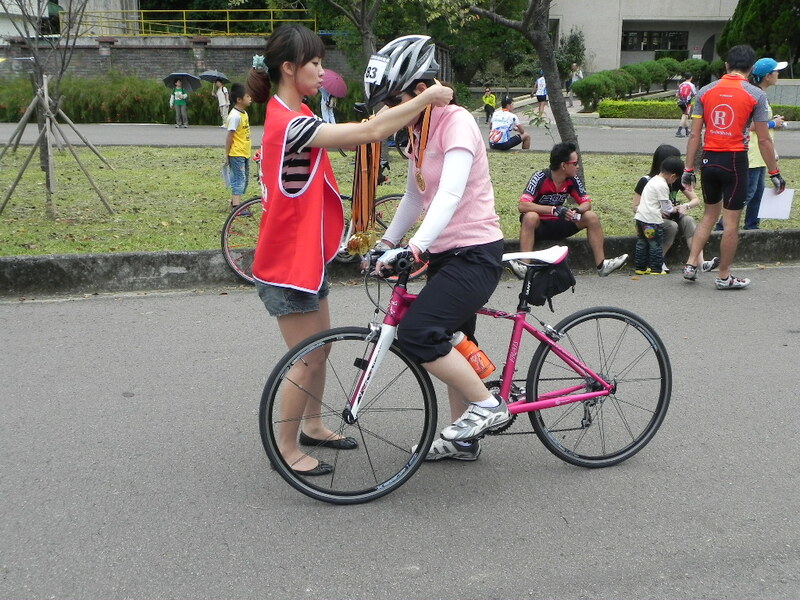 I was also supporting a group of enthusiastic riders that ride every week with one of my dealers. 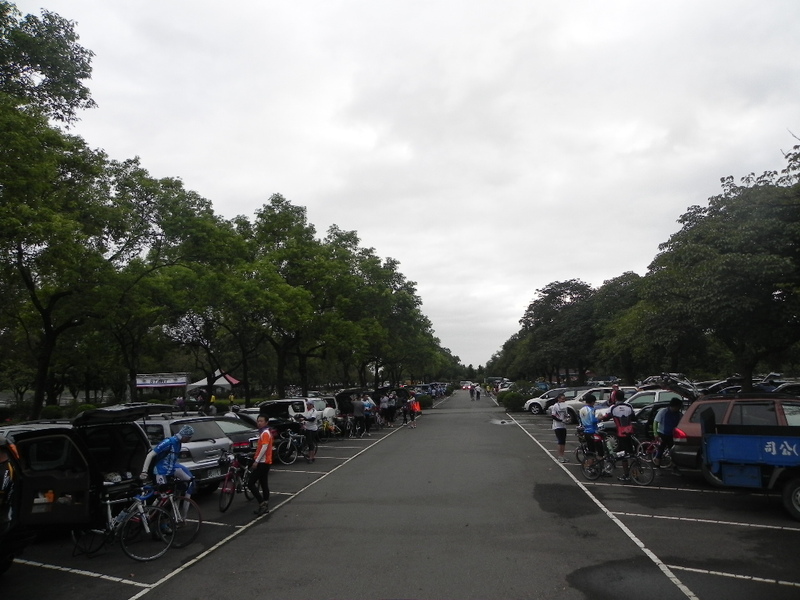 Several of the group had not ridden this route before and took the opportunity to enjoy it in the company of 1980 others (3000 was given in error as the figure on Facebook the other day). Anyway, it was a good outcome. The group riding under PRIMAVERA achieved first place in both the M15 (overall 17th) and M45 (overall 27th) categories, with a 4th placing in the M40. Here are the full results. The weather forecast was for rain and it did come down on Friday night. Heavy rain would mean a treacherous ride at the least. But dawn on Saturday revealed an overcast sky that cleared to patches of blue as the day went on. The computerized chip reader is set up at the start. As participants pass under the scanner, their departure time is recorded. 1oom down the road a similar system is set up to record participants’ finish. 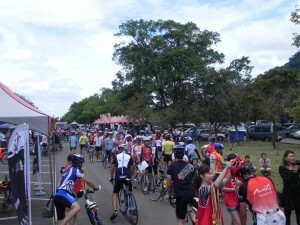 Cyclists register to collect their numbers. 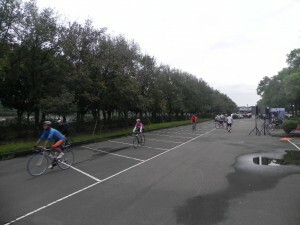 On an empty part of the carpark, cyclists warm up alongside evidence of the previous night’s downpour. Stretching out is always a good idea. Just before 7am, participants mass at the start. In the background is the reservoir spillway. The group will head along the road for 500m then switchback straight into the first climb, which passes just to the left of the top of the spillway. 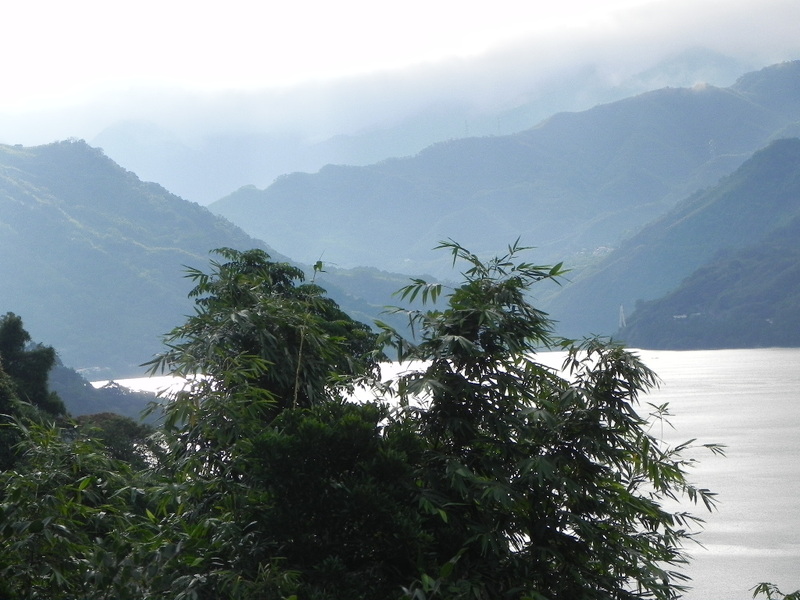 Just around the corner are spectacular views of the lake. The road follows the lake into the distance then loops around through the hills for some great climbs and descents. 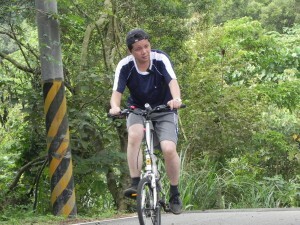 I departed ahead of the start and set up to catch a cross-section of riders as they made their way up the first climb. The tone at this stage is relaxed and happy. 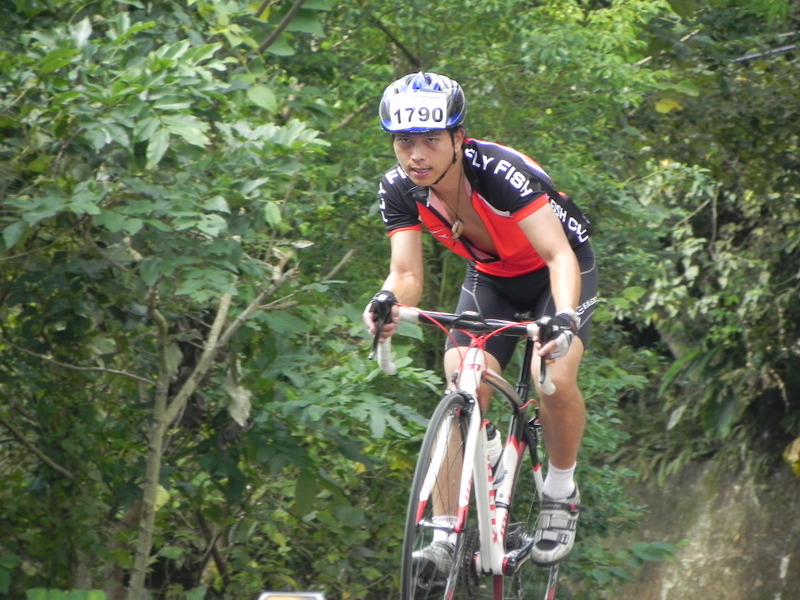 It actually stays that way right through the event despite the challenge of the final climb.傅格林/Fu Ge-lin, pictured here, is on his way to achieving first place in the M45 category. 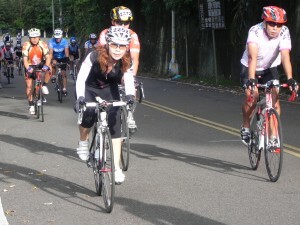 There were many ladies on the road today. A sleek and fetching outfit. It’s just good to be out touring. 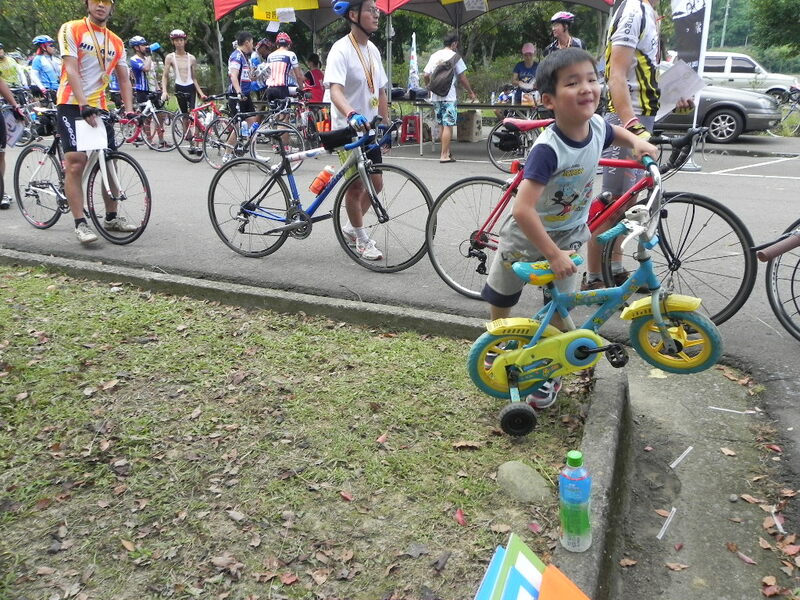 What little boy does not love to ride his bike…and what a bike! After shooting here, I moved along the road. The difficulty was to find a suitable position. 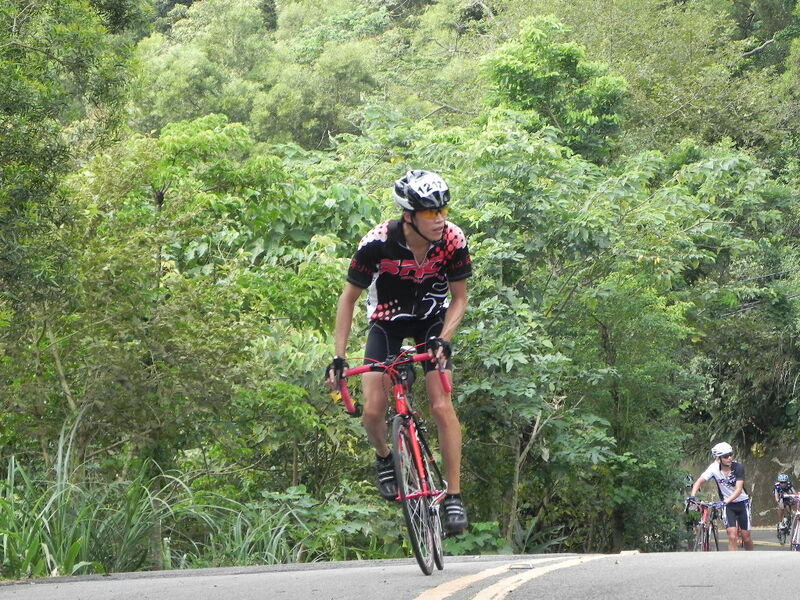 Narrow roads and lots of riders made maneuvering very tricky. I got held up for quite a while. 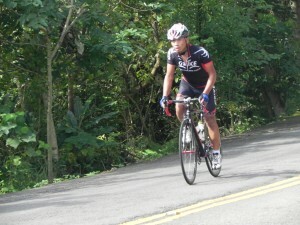 Eventually I found a good position half-way up the final climb. 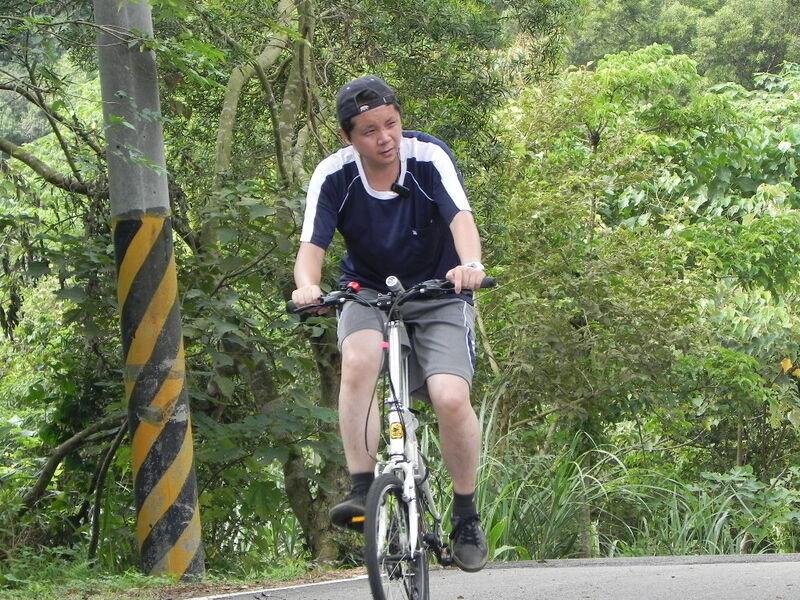 This was actually 3 or 4 km from the finish. The climb is average 10% for the last 2km or so and average 6% for the whole 8km. 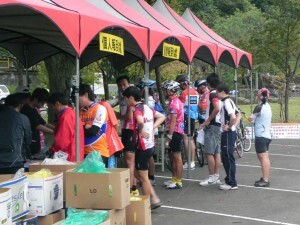 Organizers established check-in station with high-energy snacks and water refill on a hair-pin bend that had a wide shoulder. 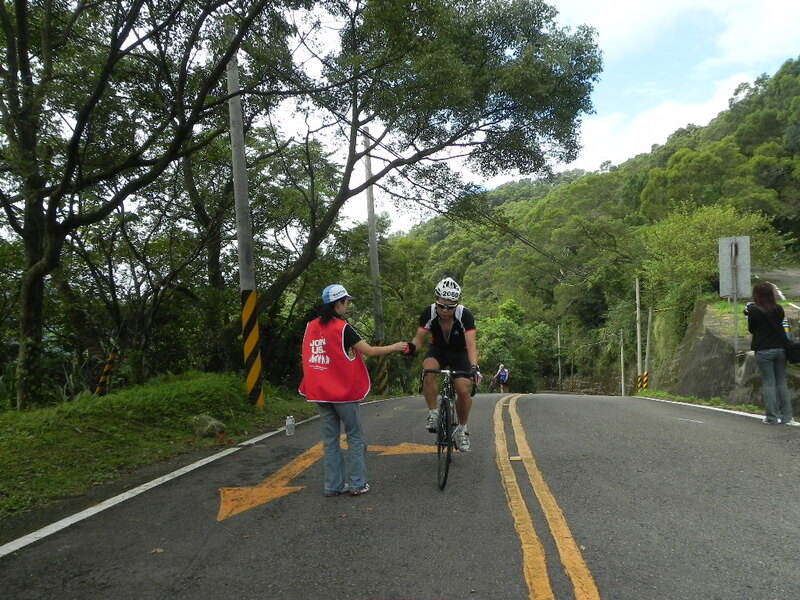 Here a marshal is handing out wrist bands – evidence that you actually passed through the station. 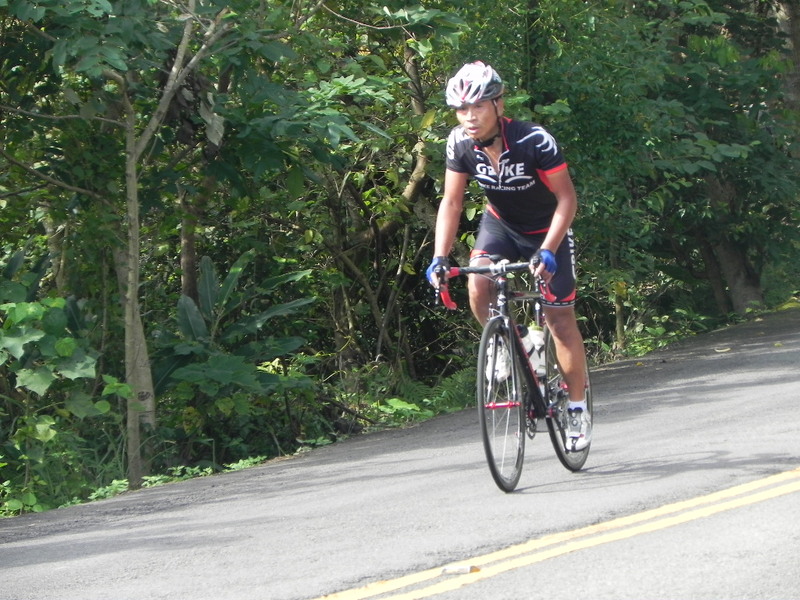 En route I came across one rider on the approach to the climb – a hint of things to come. The thing about this climb is that this section looks like the top as you ascend towards it from below. 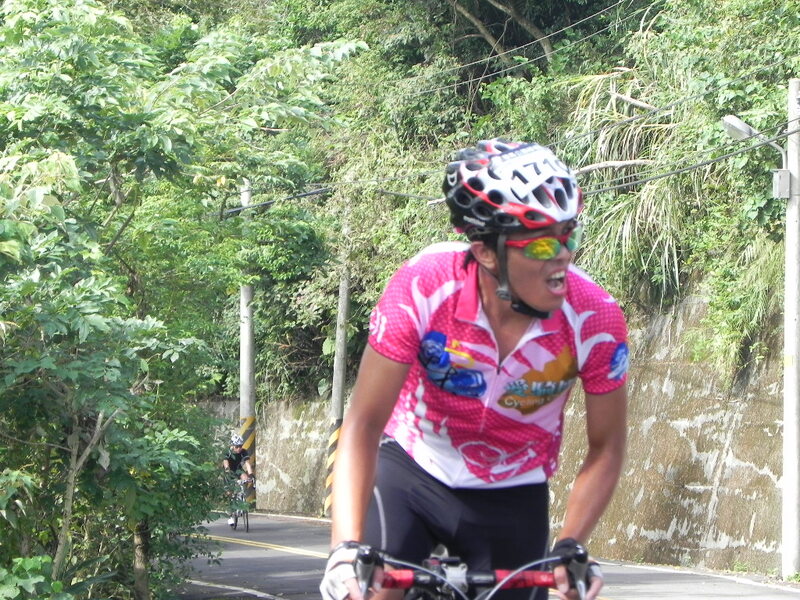 The relief of having made this very steep section quickly turns to anguish as riders view the rest of the climb, visible above – where is the end? But, like just about everything, it depends on how you look at it. 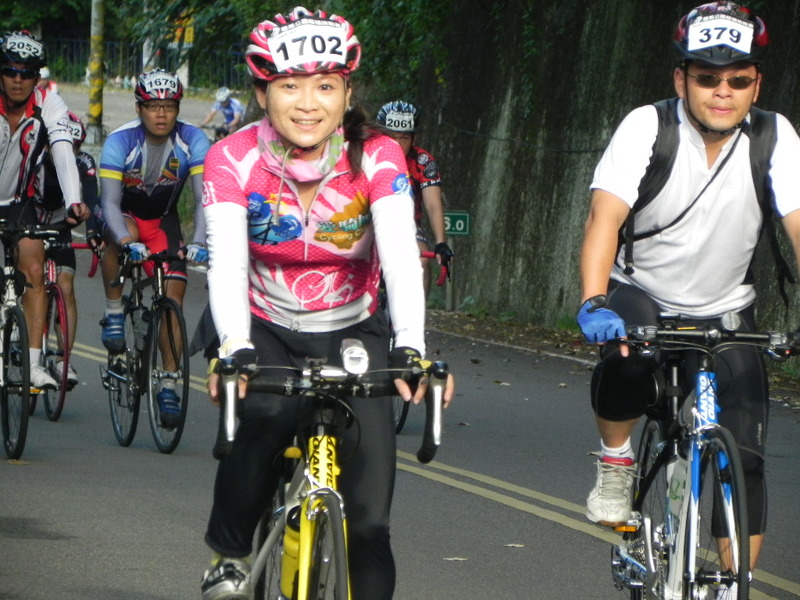 Many cyclists powered strongly and confidently up the climb and were more than ready to tackle the next part of the ascent. 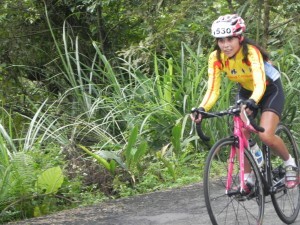 I did not time this shot very well, but here is one of, if not the, strongest all-round lady cyclists in Taiwan, Li Bo-fang. 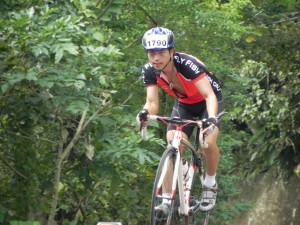 She climbs awesomely and made easy work of today’s climbing where most of the men were struggling. She was 1st overall in the ladies division for the day and is classified in the W40 category! Not too far back in the fiel Tian Jian-wang and bike shop proprietor Li Ching-nan made the incline without too much difficulty. 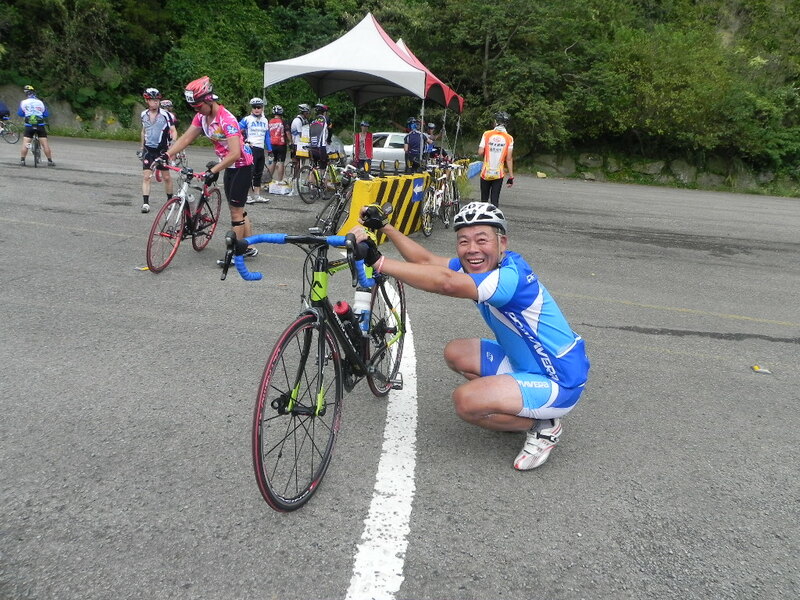 After a quick break and some stretching, they headed to the top of the climb to enjoy the steep, fast descent to the finish. Not everyone was a participant. 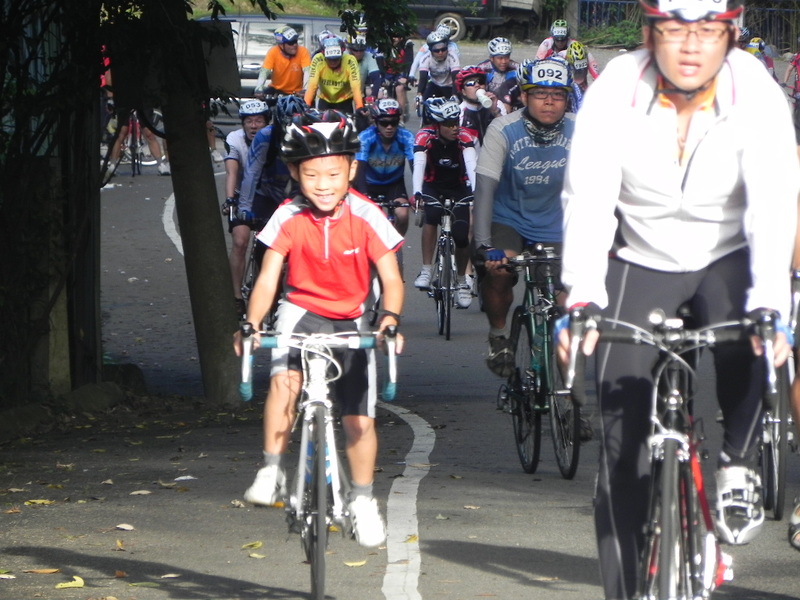 There were many who were just out for a Saturday ride. 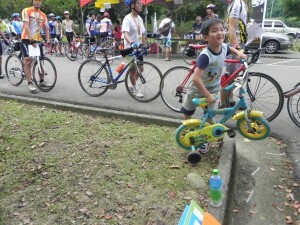 Against a background of successful cyclists in line to get a complimentary gift, a young aspiring rider is tuned right into the spirit of things. Where would you be without ladies serving delicious snacks in kimonos? They certainly got their share of attention. 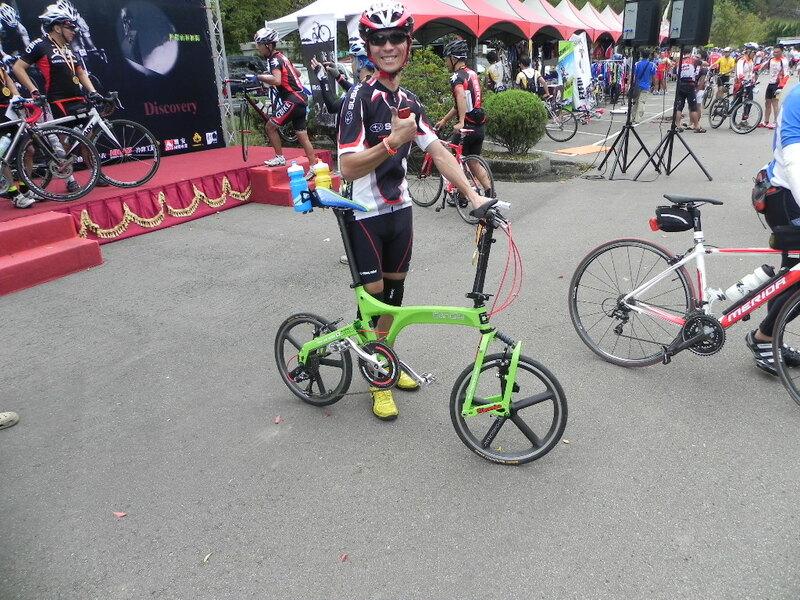 As in so many of these events, there was a noticeable brace of folding bikes. 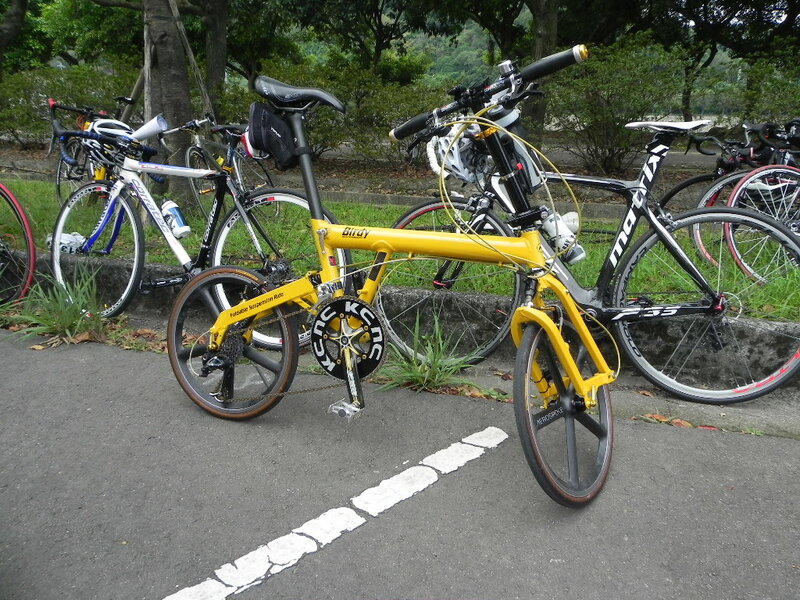 Two or so years ago you would find many more participants on folding bikes, as it was the height of the bike boom — folding bikes were all the rage. It seems now that only those cyclists who really made the transition to consistent cycling on folding bikes are now left. 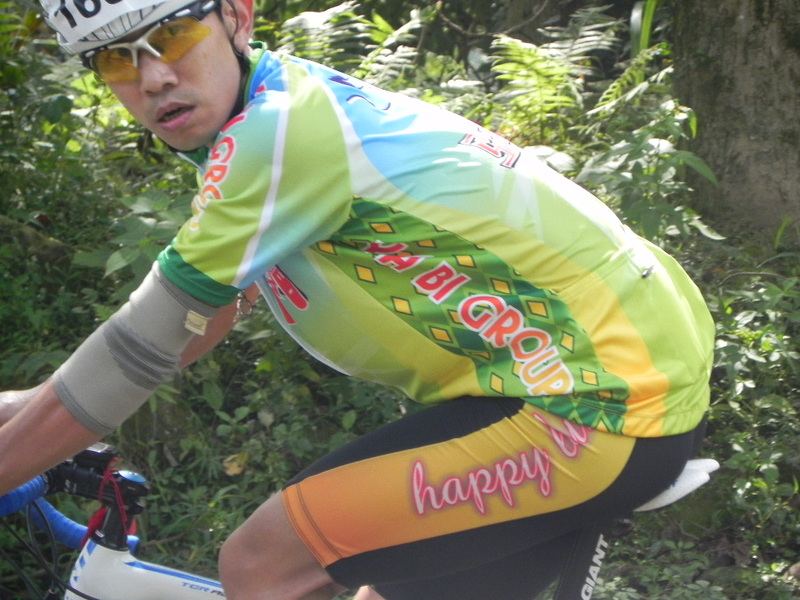 The rest have either given up or just become occasional riders, or have perhaps upgraded to a mountain or road bike. 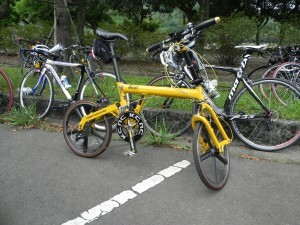 Of the remaining folding bikers, 9 times out of 10, they will be on a Birdy. 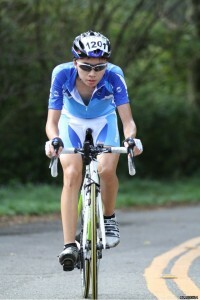 This rider started alongside my team and finished not long after the top placegetters in my team. The view from the finish line where the girls are waiting to award successful participants their finishing medal. One of the many ladies to comfortably complete the route. 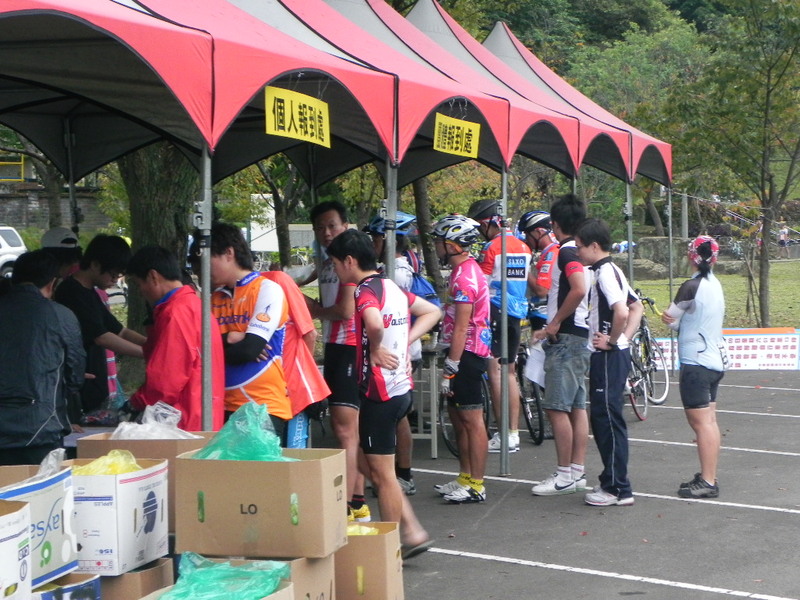 Once you have got your medal and certificate recording your time, you can line up for the souvenir. 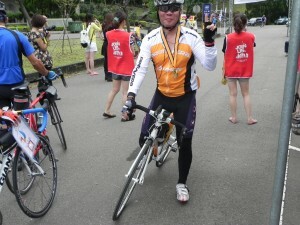 All in all, a great day, in which nearly everyone completed the route. 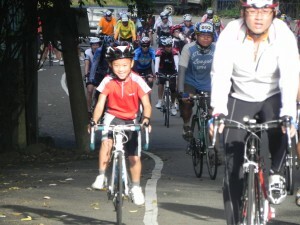 Cycling events are all about people. Sure, the bikes bring people together in a common focus. But, in the end, the bikes are incidental. I noted the number of very expensive high-end carbon models sporting the latest Dura Ace or Super Record groupsets — there were not all that many of these represented in the high place-getters in each category. In fact, there were plenty of alloy frame, S105 or Veloce combinations ridden by competitors who placed very highly. It’s all about the rider. 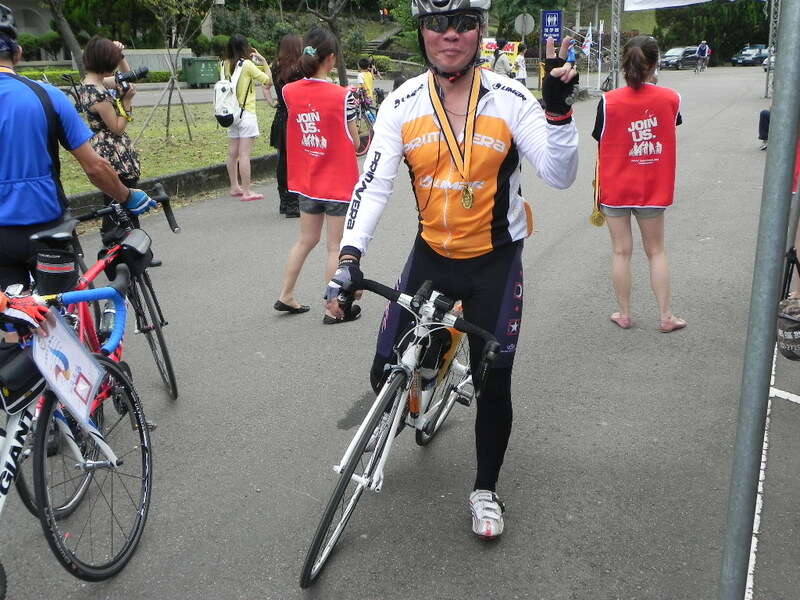 Anyhow, the racers raced, the cruisers cruised, and everyone tested their limits in one way or another. Fabulous! 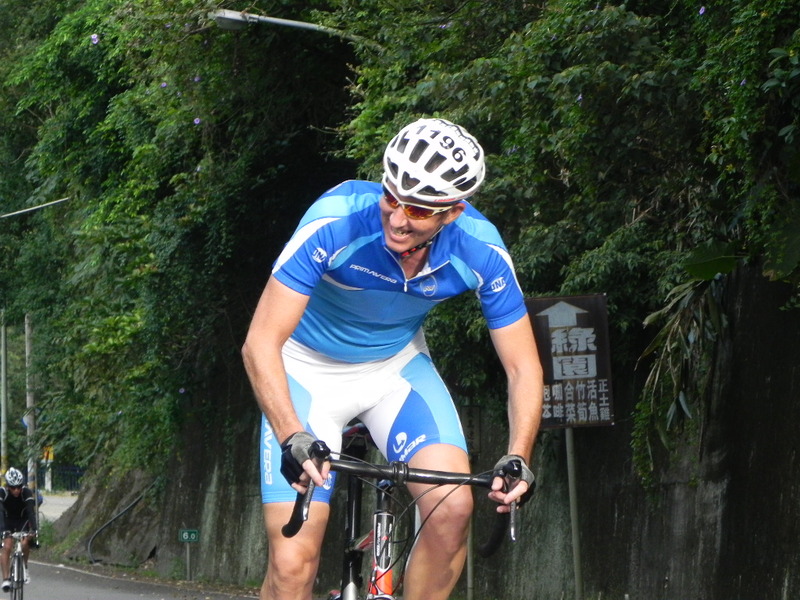 The Taiwan Cycling Festival kicks off in Hualien this Saturday and we are looking forward to getting over there on the following weekend. 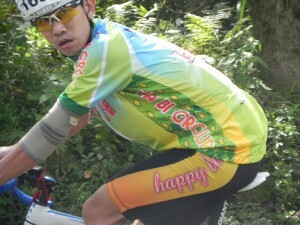 The team members will be different, the leader being a former Tour of Taiwan stage winner. A 100km training ride was held on Sunday — there will be a report on this over in the Primavera Cycles Newsroom soon.